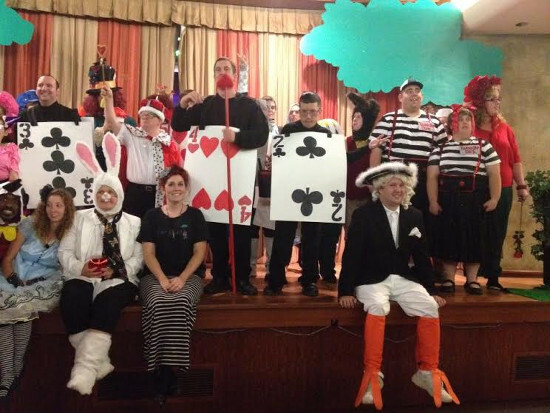 Created in 2013, Purple Cat Productions is currently supervised by Amy Rigby, director of the recent musical productions “Beauty and the Beast” and “Alice in Wonderland”. 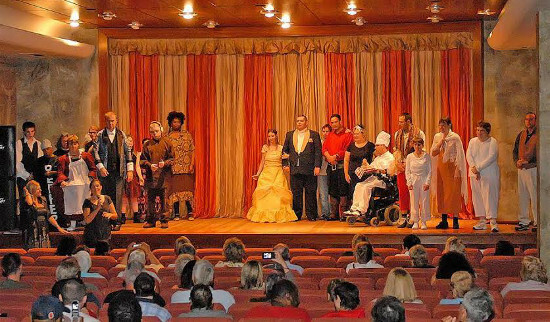 Formally housed at Southwoods Executive Center, the overwhelming response and success of its first two productions forced Purple Cat Productions to seek a bigger and more theatrical space. Jim Sutman then reached out to the Youngstown Playhouse and a wonderful new collaboration was born. Moving into the historic 90 year old south side theatre in January 2015, Purple Cat Productions quickly established itself as an extremely positive and productive presence, with PC clients creating an arts and music program and assisting with the day to day operations of the Playhouse. They have also become involved in the set construction and painting of two major Youngstown Playhouse sets – “Last Laugh” and the upcoming “You Can’t Take It With You”. 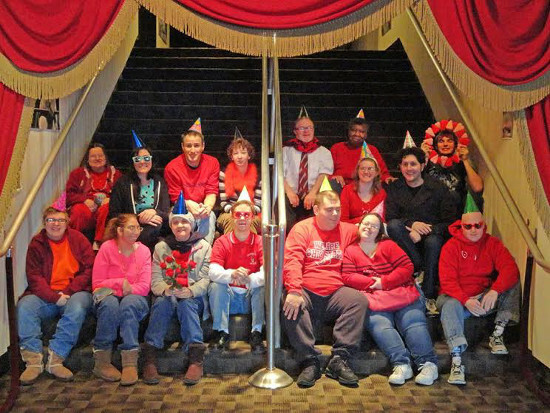 On March 27, the Youngstown Playhouse and Purple Cat Productions will hold a ribbon cutting ceremony to unveil the new rehearsal space that PC will use on a daily basis to hold its classes and workshops as well as rehearse its next musical extravaganza “Willy Wonka and the Chocolate Factory”, That production is scheduled for July 9, 10 and 11 on the Youngstown Playhouse Main Stage. More details on that production will follow. More information on Purple Cat Productions is available by contacting the theatre at 330-788-8739 ext: 3, or by visiting www.facebook.com/PurpleCatProductions.